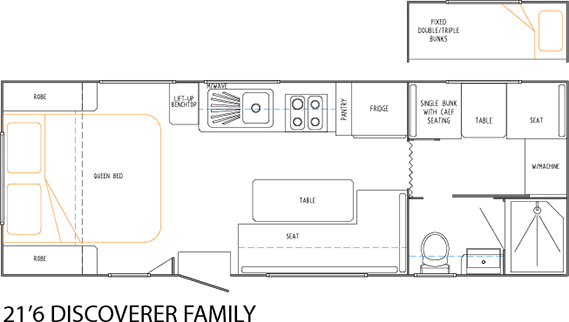 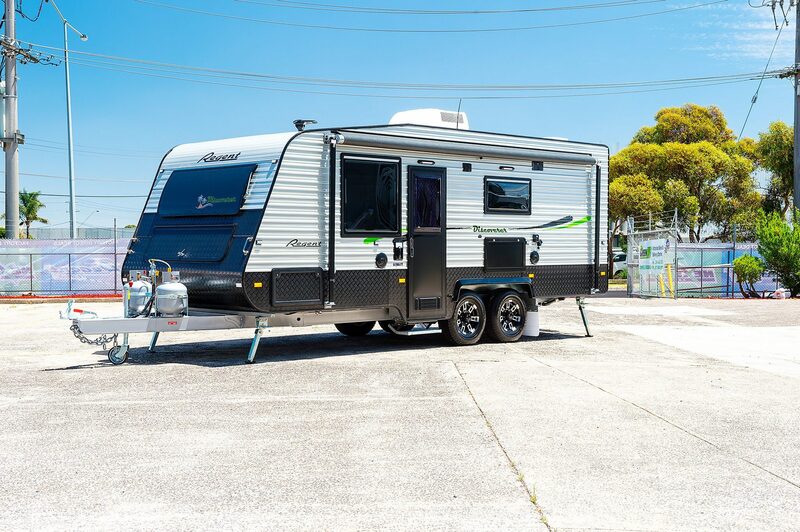 The Discoverer is simple and easy, perfect for those who are entering into their first time owning a Caravan. 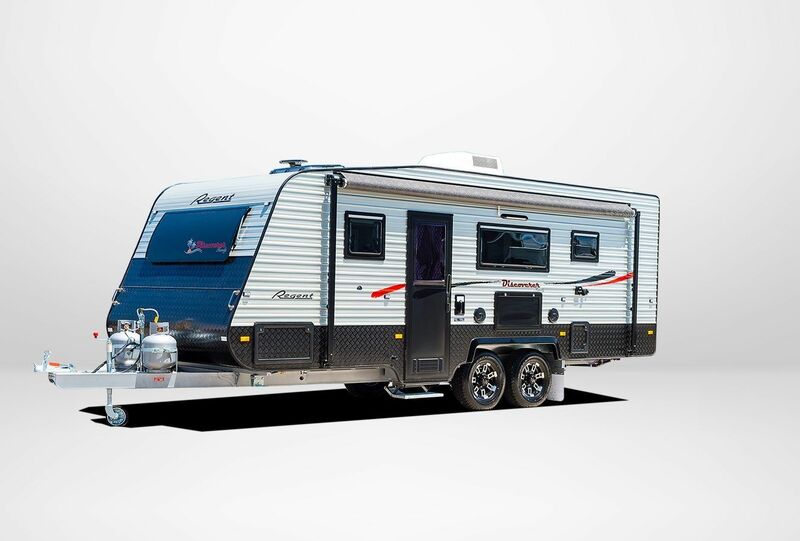 Including all the luxuries and necessities required for getting out and enjoying the experience of nature with ease. 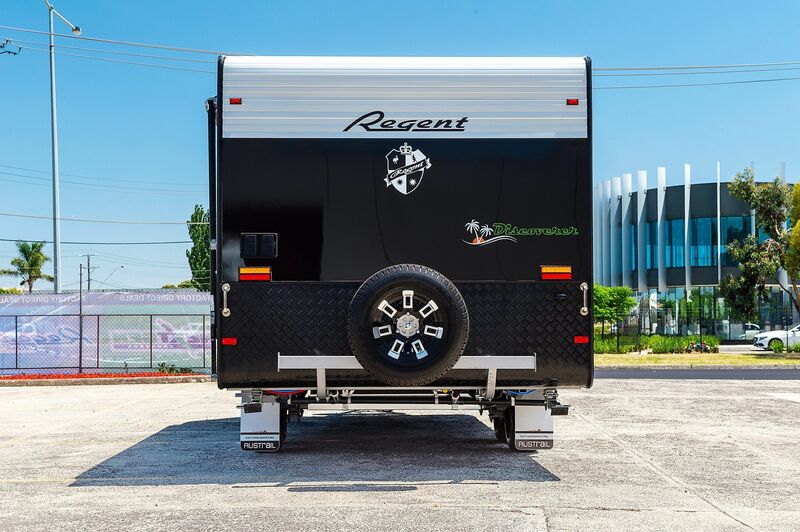 Hand built to our industry renowned premium build procedures and using the finest materials, Regent style and quality has been the envy of others for nearly 25 years. 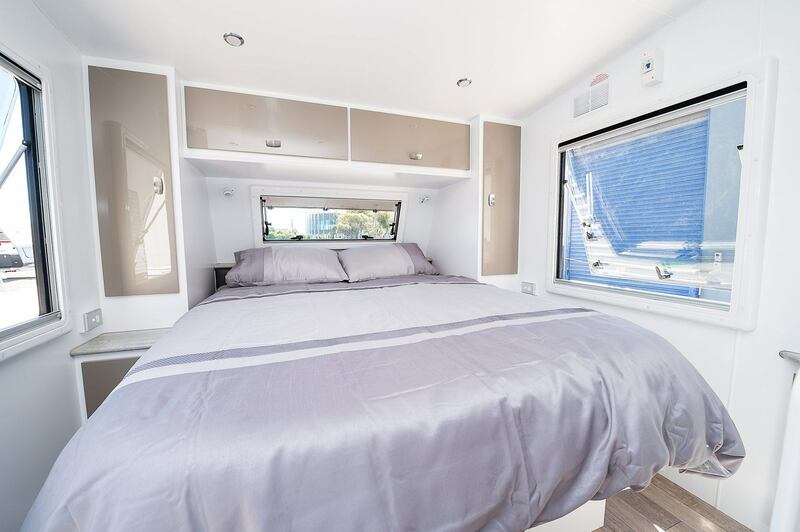 A combination of on-going development in production techniques and research into materials means we are able to offer this exceptional van at affordable prices. 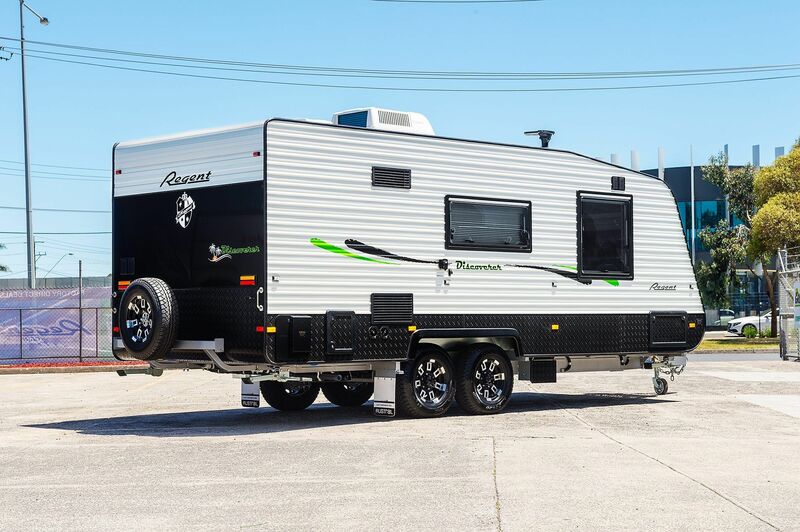 Independent or leaf spring suspension, single or dual axle. 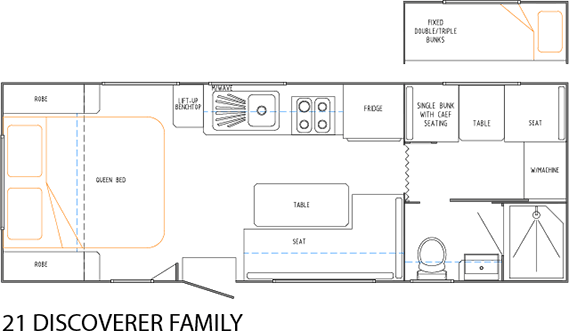 The Discoverer is the ideal van for first time caravan owner or for folk who simply want to get away. 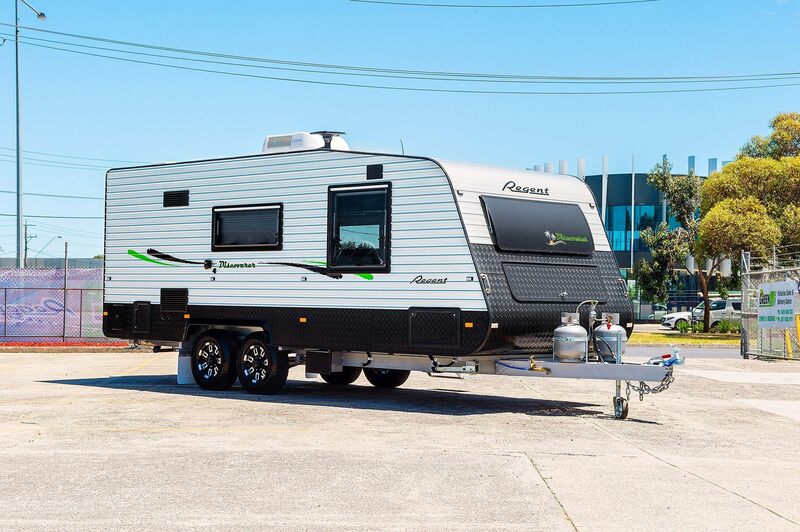 Strong, light and spacious the Regent Discoverer has been a product of evolution and has without doubt, earned its position in the Regent caravan stable. 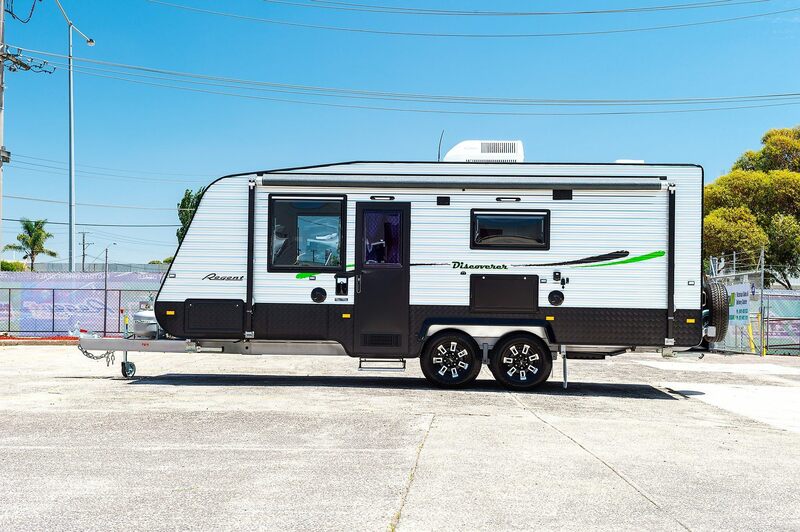 It’s inside the Discoverer where you notice the difference, no exceptions! 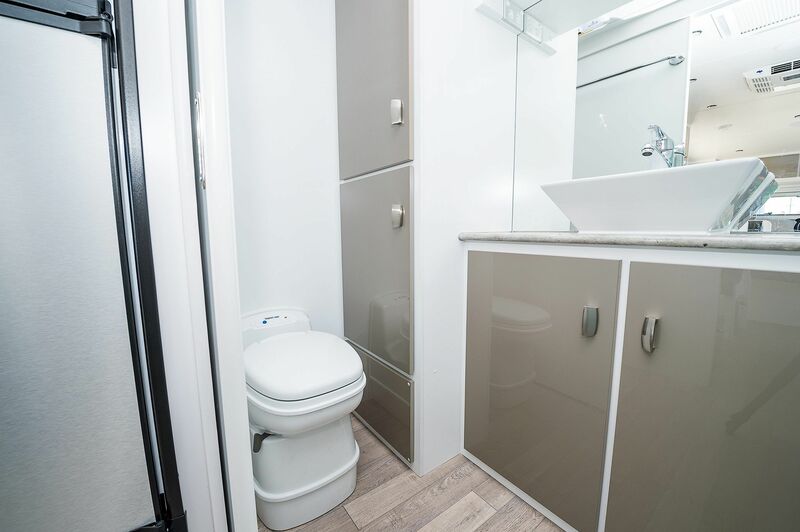 Nothing has been compromised in features and appointments whilst offering you a surprisingly spacious environment. 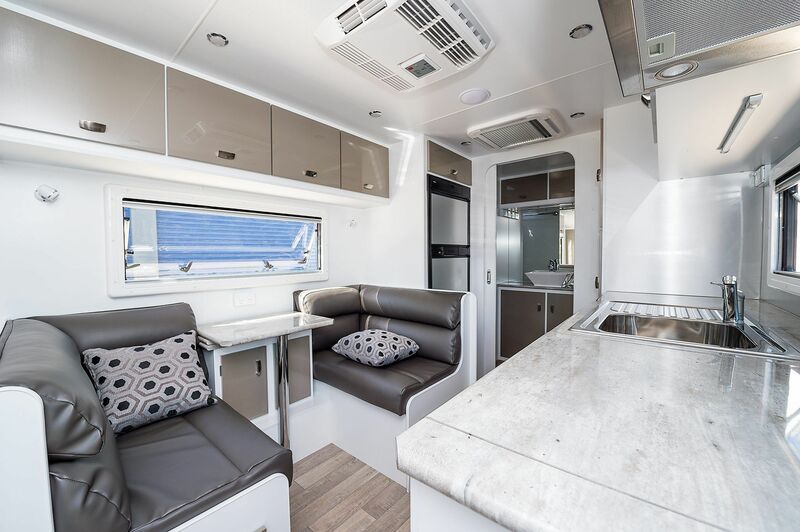 CNC profile finger jointed moisture resistant timber frames allow for controlled expansion and contraction in climatic extremes with the added extra strength of secure side bracing in the walls. 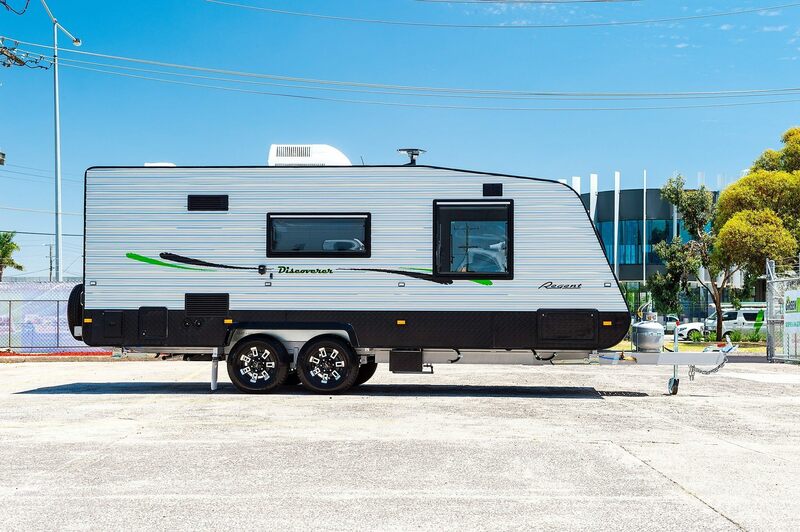 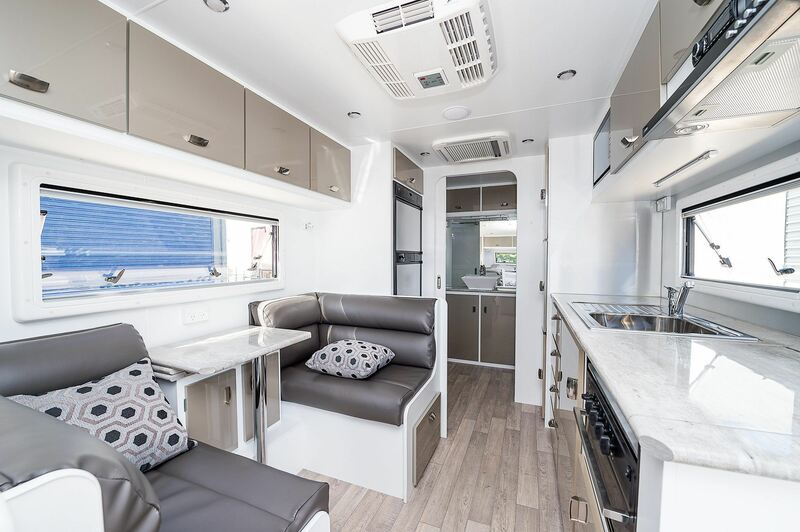 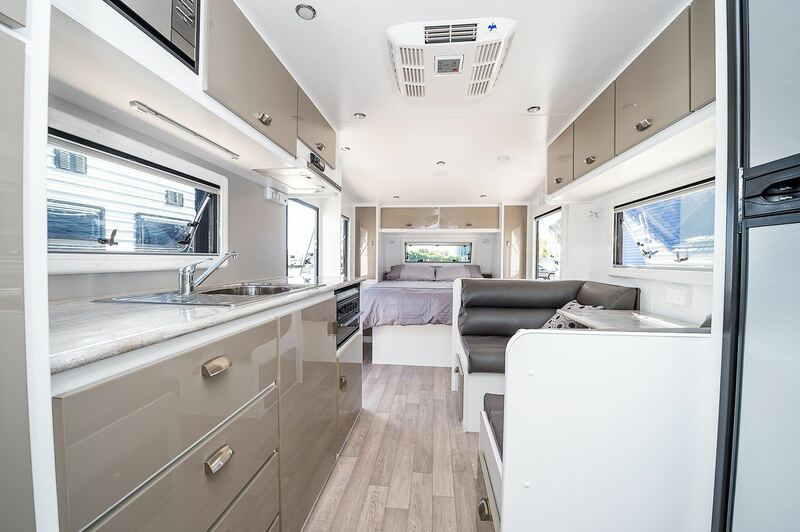 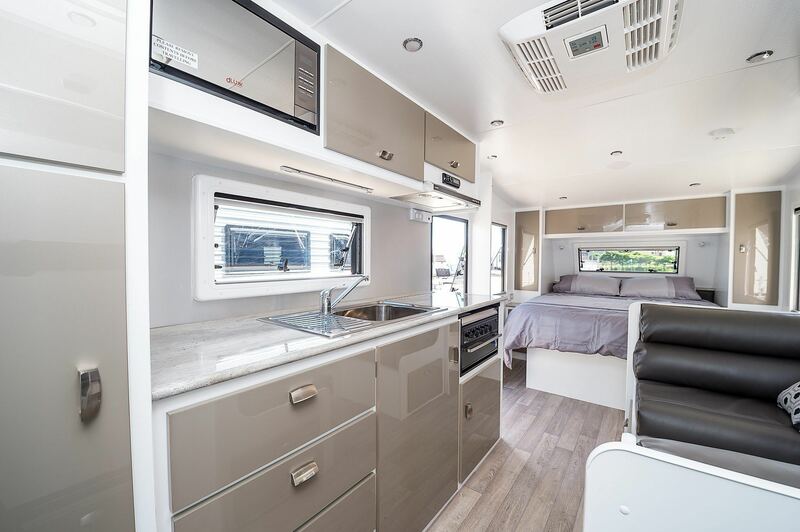 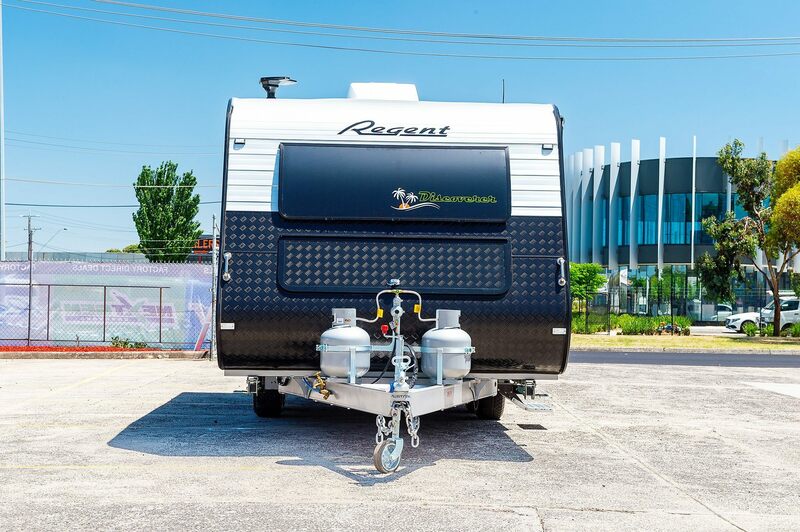 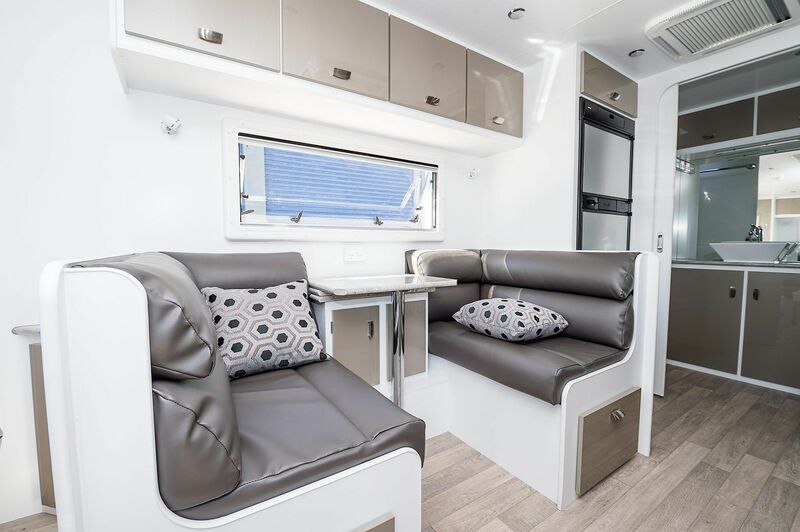 Regent caravans are layered in high profile cladding and are fully insulated to provide the much needed protection and durability from the harsh Australian environment. 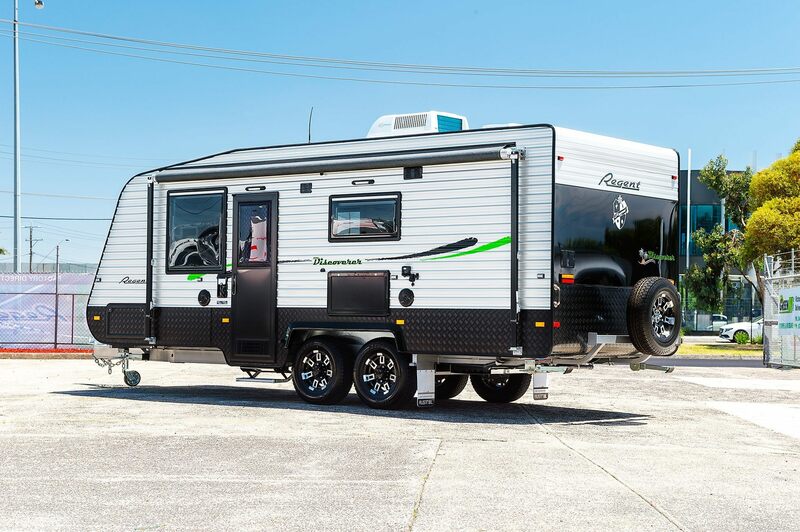 Underneath, a robotically welded Austrail RV chassis is the important foundation that the caravan rides on, with your choice of quality leaf spring suspension as standard or fully independent suspension as optional. 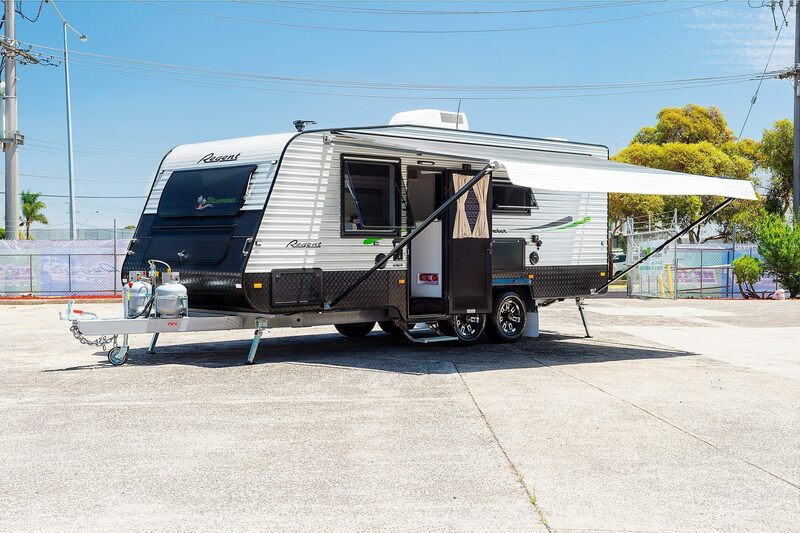 The quality of this Australian built chassis and the attention to detail in many areas including abrasion-free tracts for hand brake cables, professionally finished welds, enclosed chassis endplates and thoughtful touches such as standard hooks to hold safety chains when the van is unhitched, are among the features one comes to expect when buying a Regent Caravan. 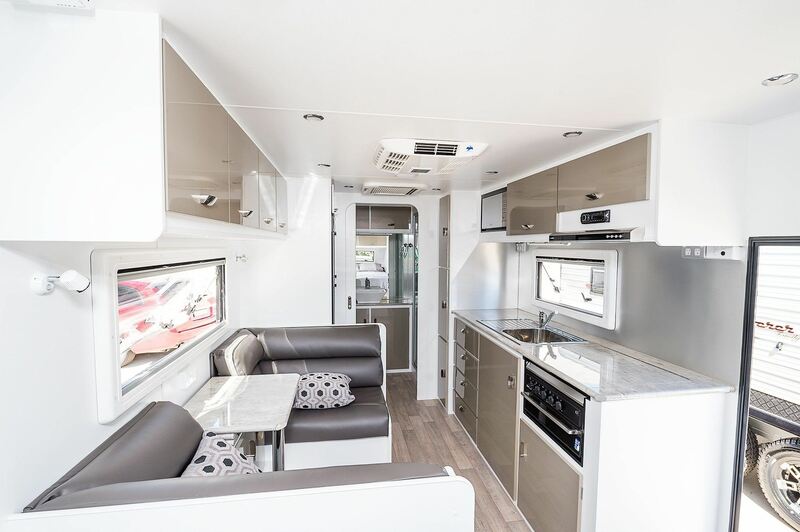 You design specialist will personally assist you with creating a customer colour scheme that you will love and will ensure that you have the perfect layout and inclusions in your brand new Regent Caravan. 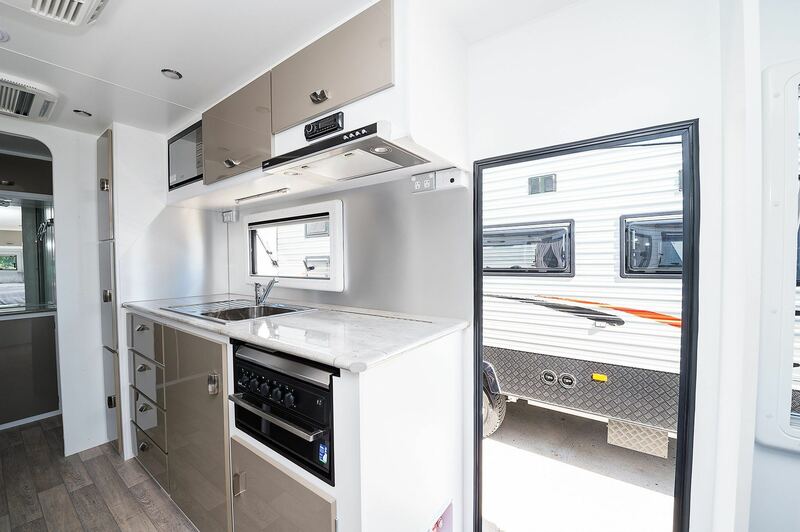 Once you have finalised the design of your Regent, your specialist will arrange with the manufacturer to have personalised floor plans and specifications drawn up to ensure you are 100% happy before construction start.